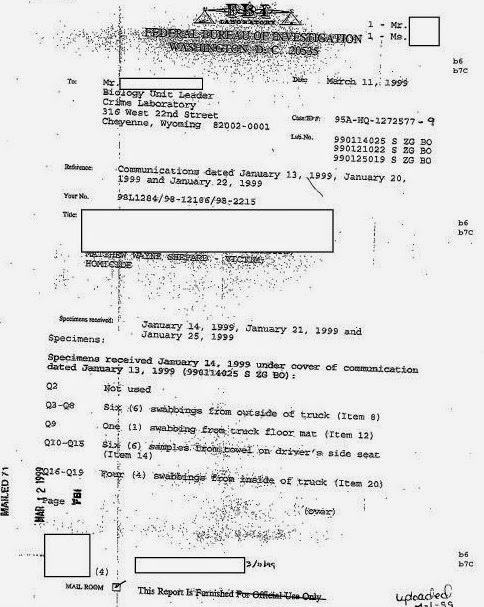 What's in the FBI File on Matthew Shepard? Not much. The feds responded in less than eight weeks to my FOIA request for the file on Matthew Shepard. Last week the FBI snail-mailed 28-pages to me and I've posted all of them here. 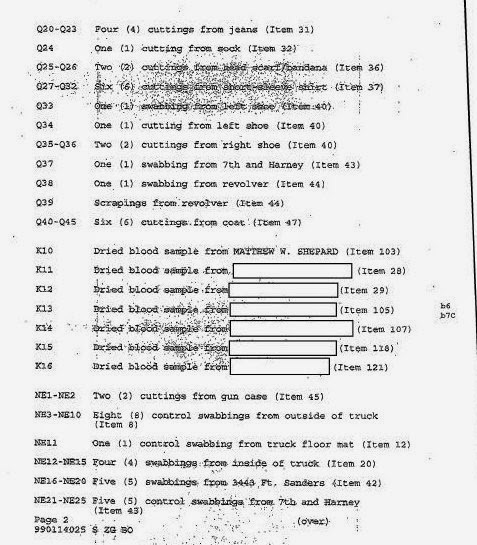 The file contains memos from the FBI to the crime lab in Cheyenne, Wyoming, confirming specimens for DNA and other forensic testing were received in Washington. That's it. I expected the FBI to release a file about the death of Shepard and the investigation regarding the circumstances under which he was killed, but it appears such a federal file does not exist. Here are two-pages from what the FBI sent me.